When your steps are missing mortar or your brick have started to crumble, it is time to call Creative Masonry & Chimney. Over time, the need for repair around your property arises. External weather factors take a toll on the exterior of your property such as your entrance steps and other outdoor masonry work over the years. Strong winds and rainfall gradually beat wash away the mortar. Your brickwork tends to expand and contract with changing weathers and causes your masonry to dislodge. At Creative Masonry & Chimney, we offer a complete range of masonry services in Burlington, Connecticut including building and remodeling of your fireplaces. 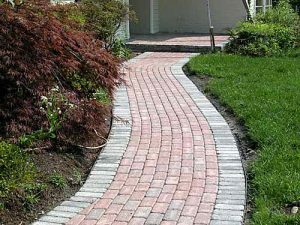 Our masonry services in Burlington, Connecticut also include hardscaping such as bluestone patios, interlocking paver patios, walls, steps, walkways etc. We always make sure to use the best grade material and most advanced techniques and equipment. We work closely with our clients and pay attention to every little detail in order to make sure that we deliver what you desire. We offer all kinds of patio building services in Burlington, Connecticut ranging from simple concrete installations to fine looking bluestone, which are perfect choices for patio building in both residential and commercial settings. At Creative Masonry & Chimney, we offer the best available options for patio installations in Burlington, Connecticut at the most competitive pricing. 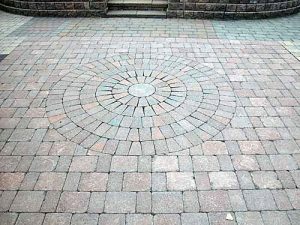 Our patio installation services also include building outside patio with either interlocking pavers or brick construction. Regardless of the intricacy of the patio design you have in your mind, we can transform your vision into reality. In case you do not have a specific idea in your mind, you are always welcome to visit our showroom and take a look at available samples. Our patio installation experts are available at your service to discuss ideas about your patio design and assist you in choosing the best available option. For reshaping, rebuilding and repairing, we offer exceptional services of stone masonry and veneers in Burlington, Connecticut. We provide amazing stone veneer walls that will give your area an extra ordinary touch. We have best professionals for your service and provide you the best experience you won’t have it before in Burlington, Connecticut. Not only this, we also provide outdoor construction of fire pit, patios, facades and outdoor fire places to re-innovate your area to fall in love with. 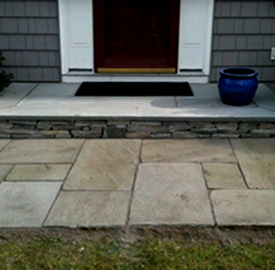 When it comes to masonry steps services in Burlington, Connecticut, we offer both building and repair service for outdoor steps. Creative Masonry & Chimney is the ultimate choice for durable and creative steps building and efficient repair. Our masonry experts in Burlington, Connecticut are specialists in building repairing steps for all kinds of residential and commercial buildings. We can proficiently handle repairing and building of steps with different types materials including brick, concrete, stone and a lot more. When it comes to building a whole new steps structure, our masonry experts will thoroughly assess style and overall design of your property the recommend the most suitable type of steps that will complement your building. Call Creative Masonry & Chimney, the most trusted masonry contractor in Burlington, Connecticut with a BBB A+ rating for delivering quality craftsmanship in masonry work. 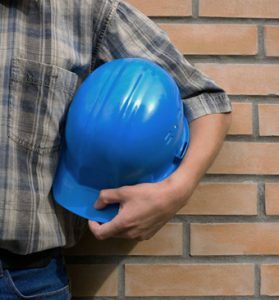 For more than 30 years, Creative Masonry & Chimney’s skilled masons in Burlington, Connecticut have been offering stonework and all other kinds of masonry services.